Vishal is awaiting the release of his Ayogya which is the remake of the Telugu film ‘Temper’. It has Raashi Khanna in the female lead which also has Parthiban, Pooja Devariya, KS Ravikumar and others. Sundar C is currently directing an untitled movie with Vishal, the shooting of which has been going on in a faster pace. The movie is produced by Trident Arts and has Tamannaah as the female lead. 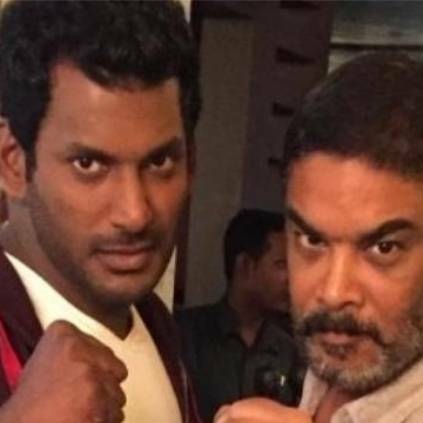 Vishal has worked with Sundar.C earlier in Aambala. The shooting for the movie has been going on in excotic locations of Turkey, Cappadocia (Azerbaijan). The recent update is that the team is shooting a complete action sequence which looks very powerful by the making stills of it. It is being shot by DOP Dudley and team, with extensive properties. It was recently revealed that Mysskin is all set to collaborate with Mysskin for one of the most expected sequels, Thupparivaalan 2. Thupparivaalan is a 2017 crime thriller which opened to positive response from audiences and fans alike. People looking for online information on Dudley, Sundar C, Tamannaah, Vishal will find this news story useful.